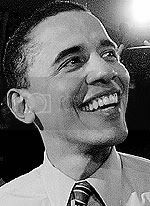 ObamaNation Shrugs: Obama Hawaii Kenyan born? Kenyan News Confused?? What do they know over yonder? "It’s clear to me that a vigorous debate on the issues most likely could not take place if I remain in the race," Ryan, 44, said in a statement. "What would take place, rather, is a brutal, scorched-earth campaign – the kind of campaign that has turned off so many voters, the kind of politics I refuse to play." Although Ryan disputed the allegations, saying he and his wife went to one ‘avant-garde’ club in Paris and left because they felt uncomfortable, lashed out at the media and said it was "truly outrageous" that the Chicago Tribune got a judge to unseal the records. "I feel for him actually," Obama told a Chicago TV station. "What he’s gone through over the last three days I think is something you wouldn’t wish on anybody." "Obviously, this is a bad week for our party and our state," she said. As recently as Thursday, spokesmen for the Ryan campaign still insisted that Ryan would remain in the race. Ryan had defended himself saying, "There’s no breaking of any laws. There’s no breaking of any marriage laws. There’s no breaking of the Ten Commandments anywhere." Poor Jack - you just can't compete with a connected guy who can pull records or make things disappear. On the other hand you can find a Commentator at same Kenyan Paper who writes in the same time period that Obama is NOT a son of the soil. Without finding a sourced Obama quote or some legal Hawaiian or Kenyan documents we may never know.